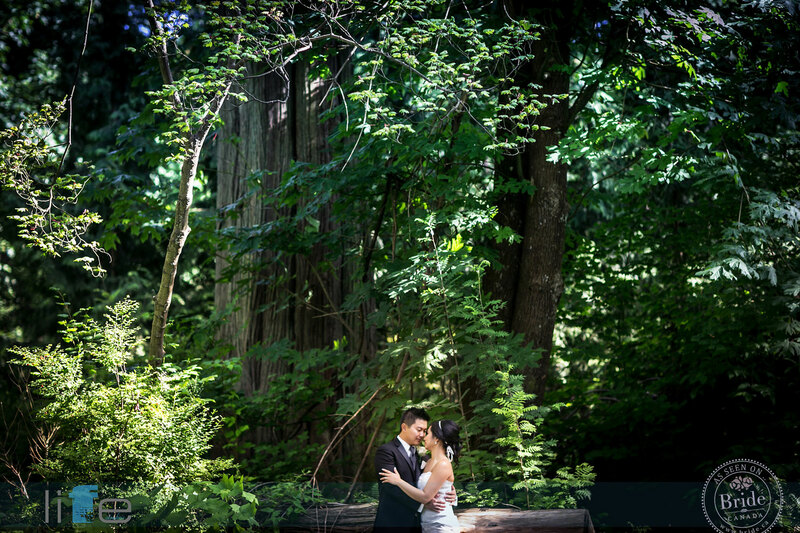 Ariane and Henry tied the knot at one of Vancouver's much-loved venues, Cecil Green Park House. Situated on the grounds of UBC campus, Cecil Green is simply breathtaking, to say the least. 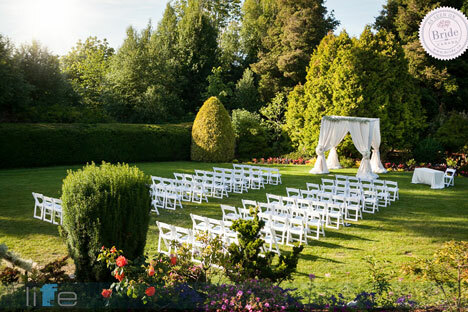 With a picturesque setting like this, is it any wonder that Cecil Green Park House is one of Vancouver's most coveted wedding venues? 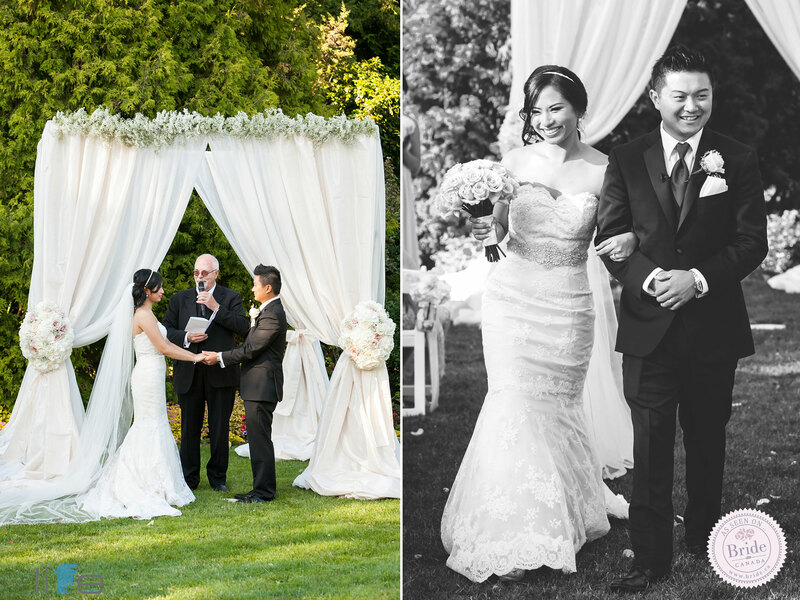 Kailey-Michelle, of Kailey Michelle Events, planned a wedding that perfectly showcased the couple's spirit, as well as their vision. Describing themselves as a goofy, spontaneous, movie-loving couple; Ariane & Henry's wedding day had a light-hearted, happy atmosphere that suited the couple perfectly. From Kailey-Michelle: I first met Ariane through her sister, whose heart was to ease her sister's stress and worry, when it came to both planning her wedding and enjoying the day. If Ariane [and her family] were to savour the day and be fully present to absorb every moment, then she needed someone she could trust to make the magic happen. And the day was exactly that.. magical, filled with sweet sentiment, great food and the most luxurious of settings; like your most elegant dinner party nestled within the walls of history, character and prestige! 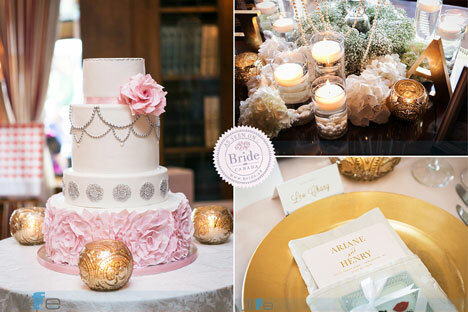 Akin to every girl's fairytale, the room dripped with hundreds of fresh cut roses, orchids and strands of pearls. But more striking than the beauty of their wedding day, was the sheer joy these two shared in finally being each others, at last. 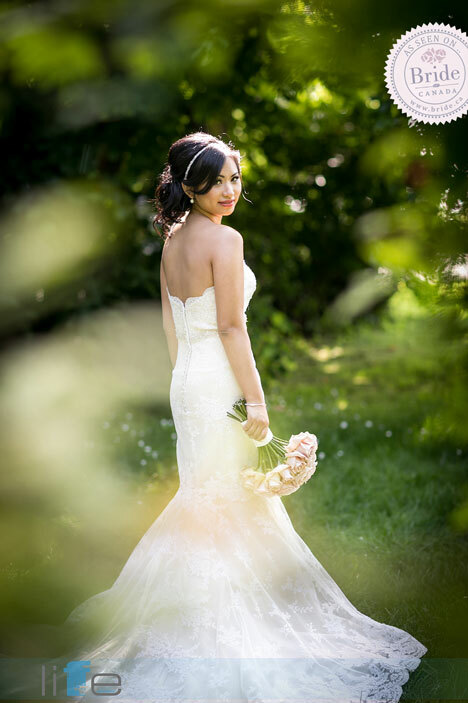 Ariane's beaded lace wedding dress fit her perfectly, and her classic bouquet of pink roses by Wedding Design Studio fit the fairytale romance of the day, beautifully. 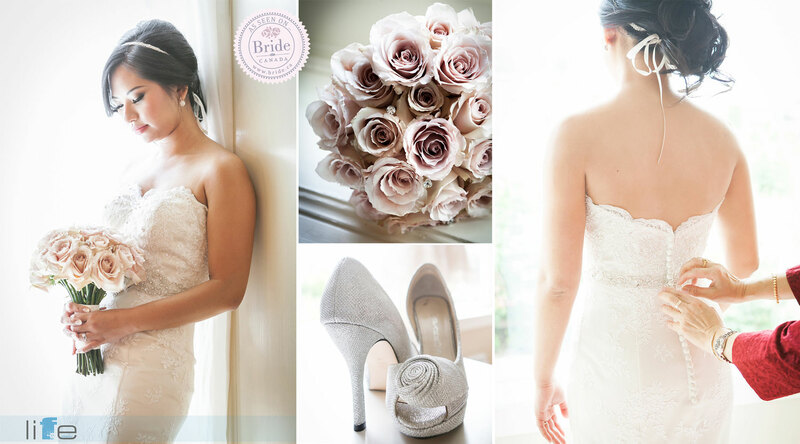 We love the soft, classic bridal look created by Jayna Marie: Mobile Hair & Makeup Artistry. Life Studios Inc did a fantastic job capturing the love between Ariane & Henry, amidst the grandure of the forest. A closer look at the beautiful canopy designed by Wedding Design Studio. 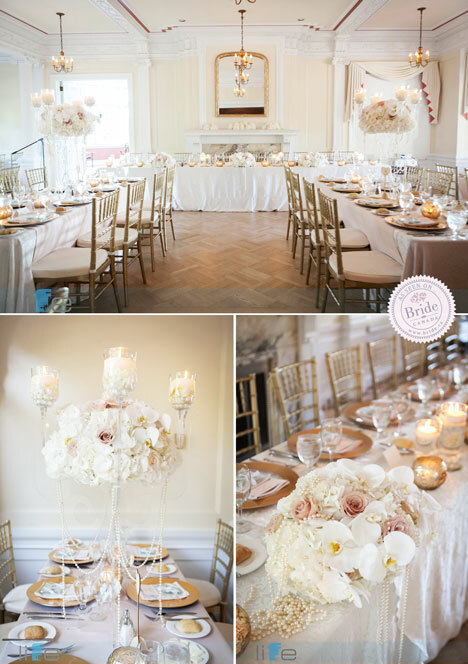 Kailey-Michelle did an incredible job creating this dreamy and elegant setting for the couple's reception. 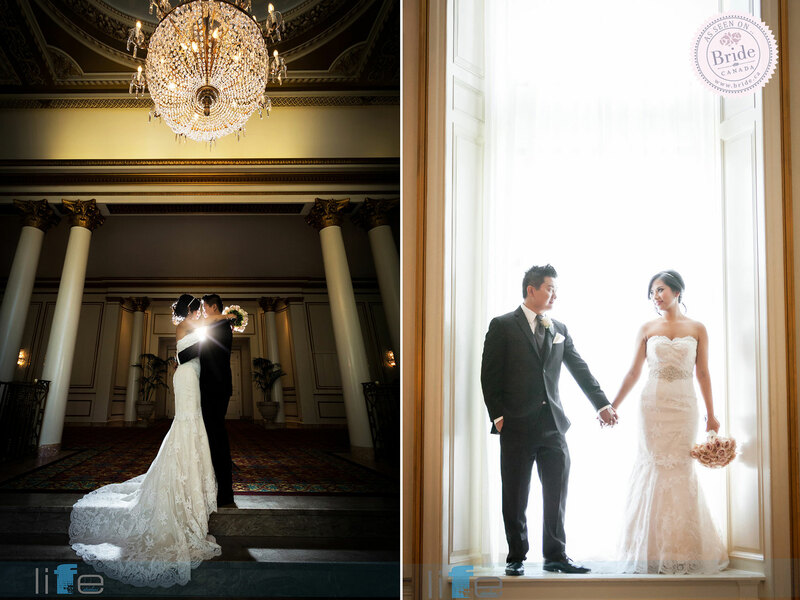 Congratulations, Ariane & Henry! 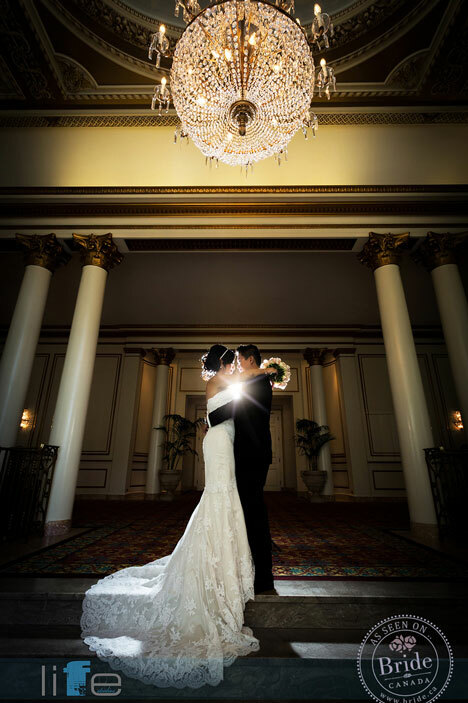 May your life together be as grand and beautiful as your unforgettable wedding day! Chivari Chair Rentals: A1 Party Rentals Inc.